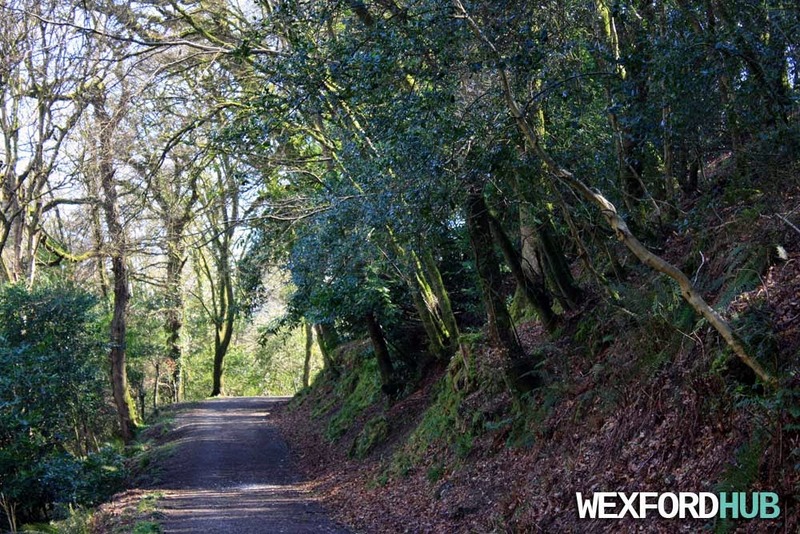 A photograph of the Forth Mountain area of Wexford. This was taken in February of 2015, from the patch of grass beside the five Pikemen statue in Barntown. 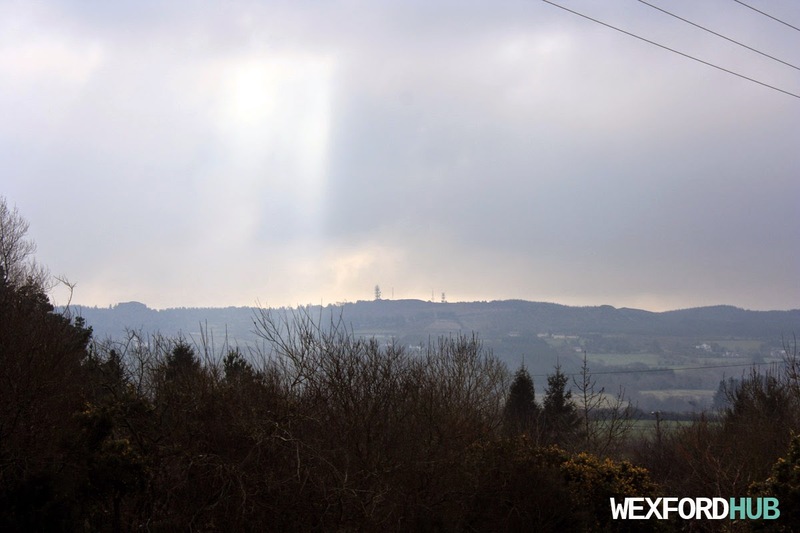 In the distance, you can see the tip of the mountain, as well as the rocks that surround Carrigfoyle quarry. 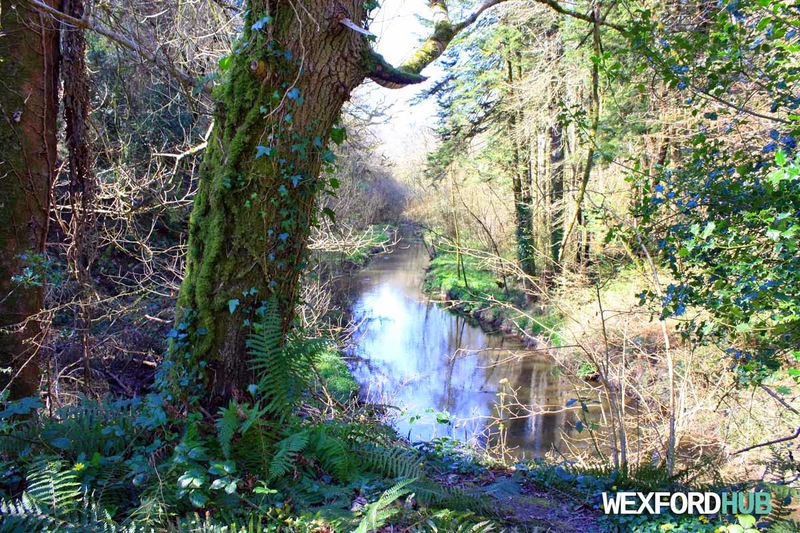 Photographs of Edenvale, which is a forest that is close to Castlebridge in County Wexford. 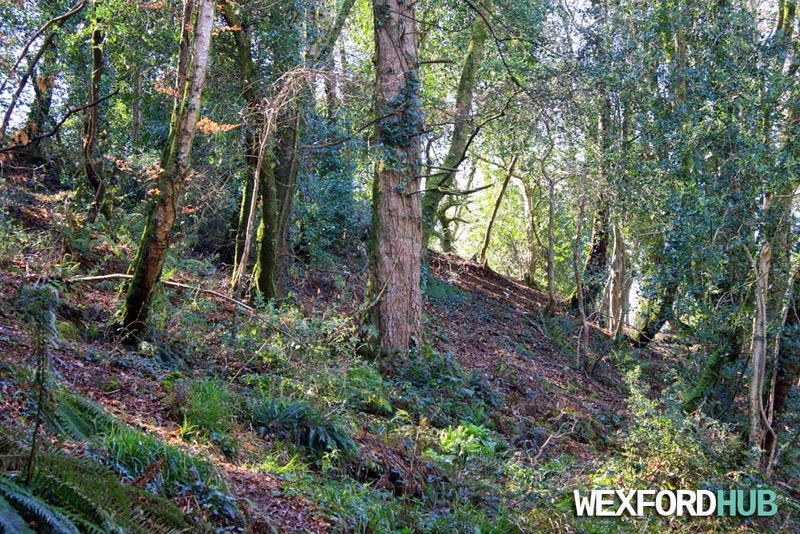 The area is popular amongst walkers and joggers as it has a walking trail that loops around the River Sow and a spectacular waterfall. 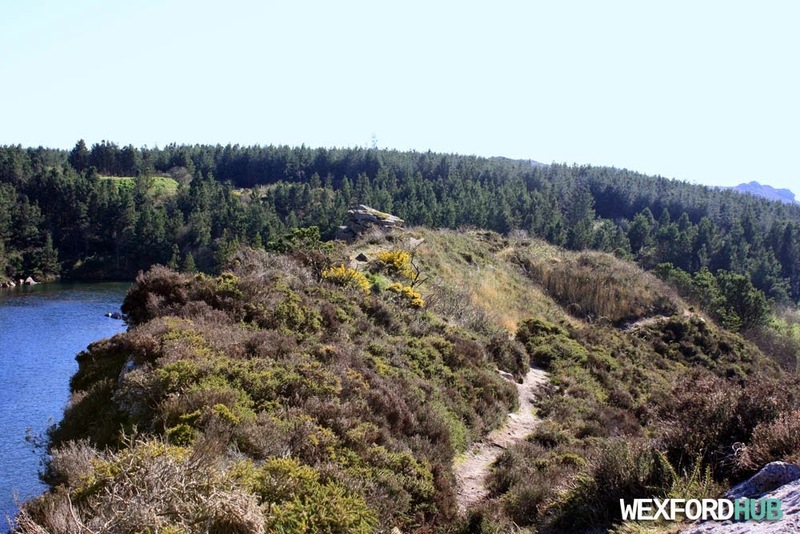 Photographs of the abandoned Carrigfoyle quarry, which is situated in Barntown, County Wexford - in the area of Forth Mountain. 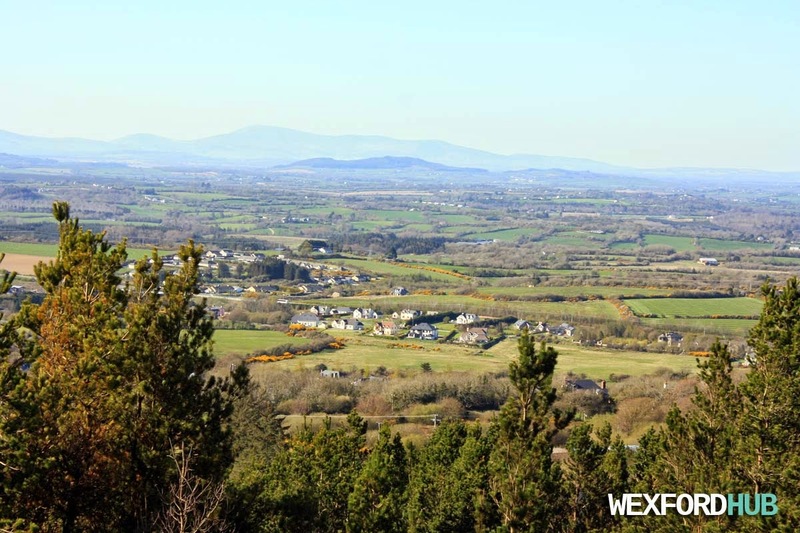 The Forth Mountain area offers an scenic view of the Wexford countryside. 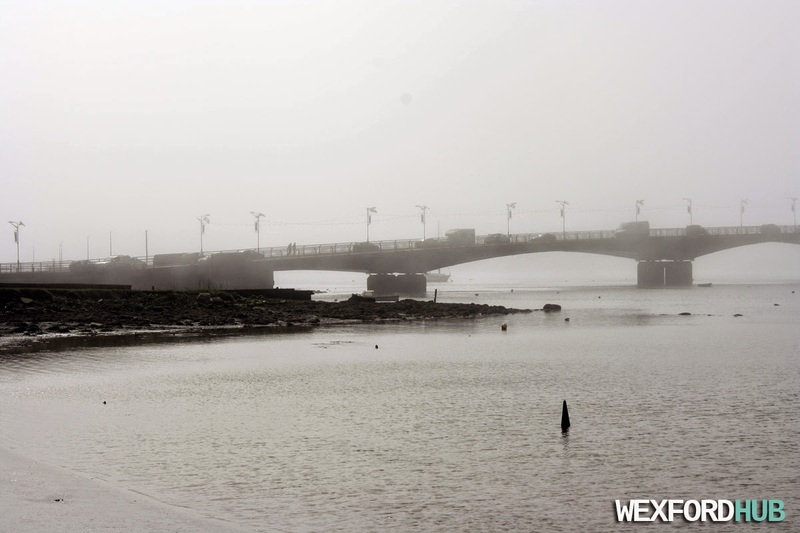 A photograph of heavy fog over Wexford. 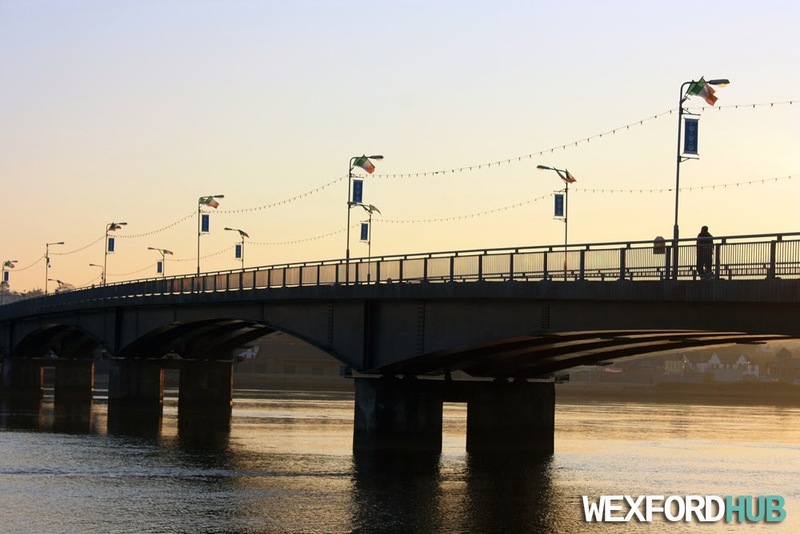 As you can see, it had completely filled the harbour and engulfed Wexford Bridge. Strangely-enough, this wave of fog quickly descended over the town (it was a fine and sunny day) before it disappeared again. All-in-all, it only lasted for about 20-30 minutes. 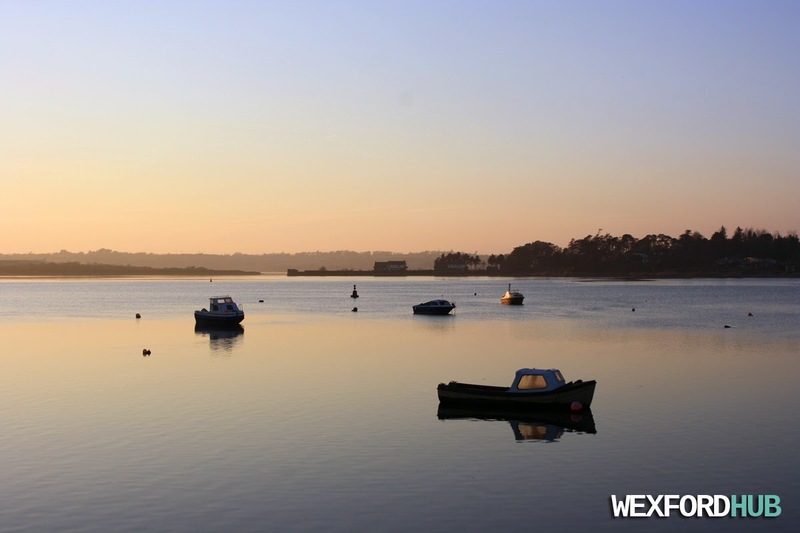 Photographs of the sun setting in Wexford, Ireland. Taken on Wednesday, the 8th of April, 2015. 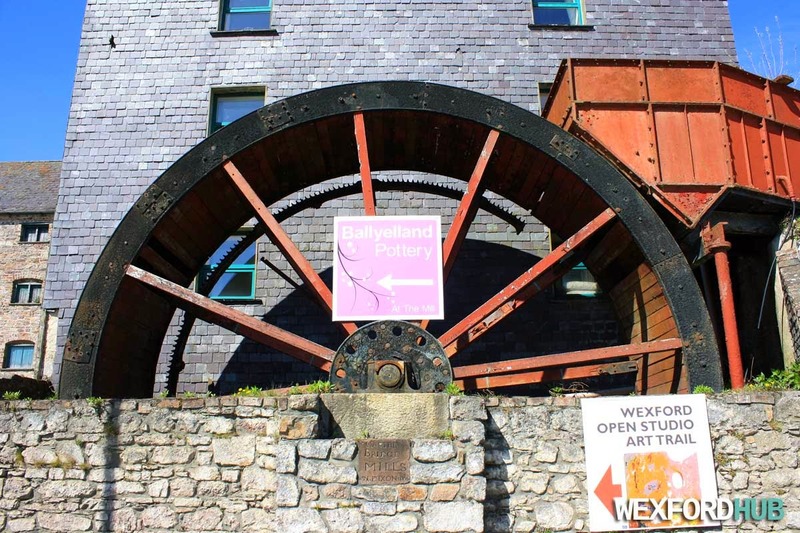 A photograph of the old flour mill in Castlebridge, which was built back in 1806. The building was restored a number of years ago in order to facilitate the building of apartments. The plaque on the front reads "Castle Bridge Mills. N.Dixon 1806". 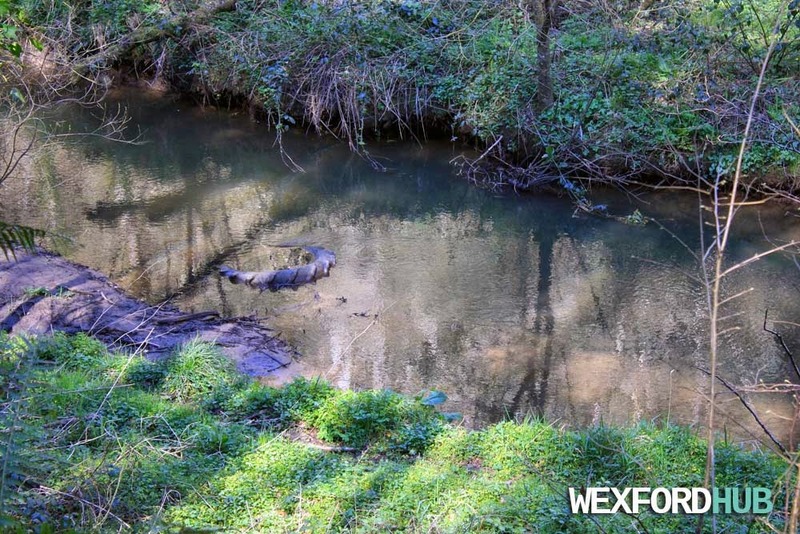 Photographs of the Wexford Block site in Castlebridge, Wexford, which is just down the road from the old Castlebridge Mill. 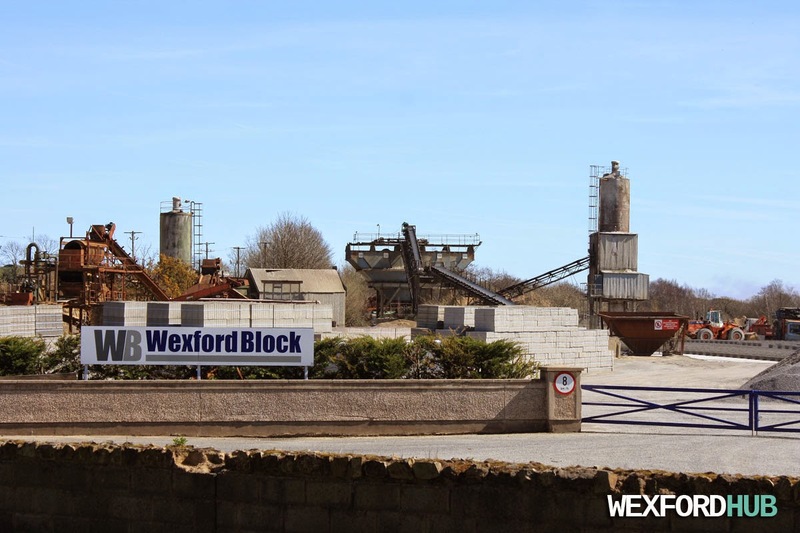 As the name suggests, Wexford Block manufactures various types of concrete blocks. Their telephone number is 053 9159500. 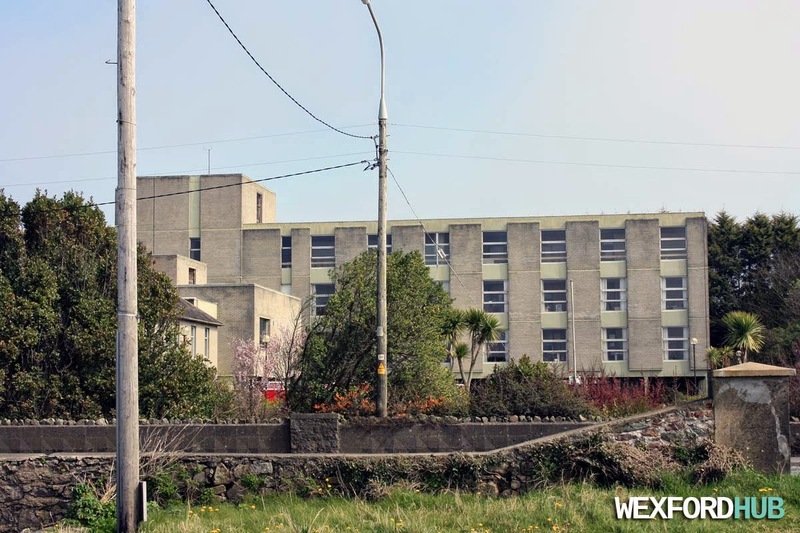 Photographs of Ely Hospital, which is situated in the Ferrybank area of Wexford Town. These photographs were taken on Monday, the 6th of April, 2015. 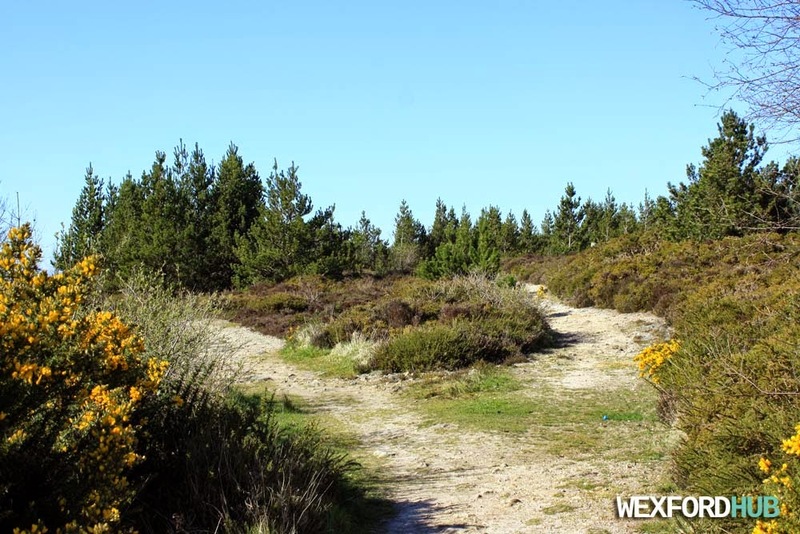 During World War One, this was the area where an American airbase was established. A photograph of the Fergus Flanagan Architect / Nail Boutique building. 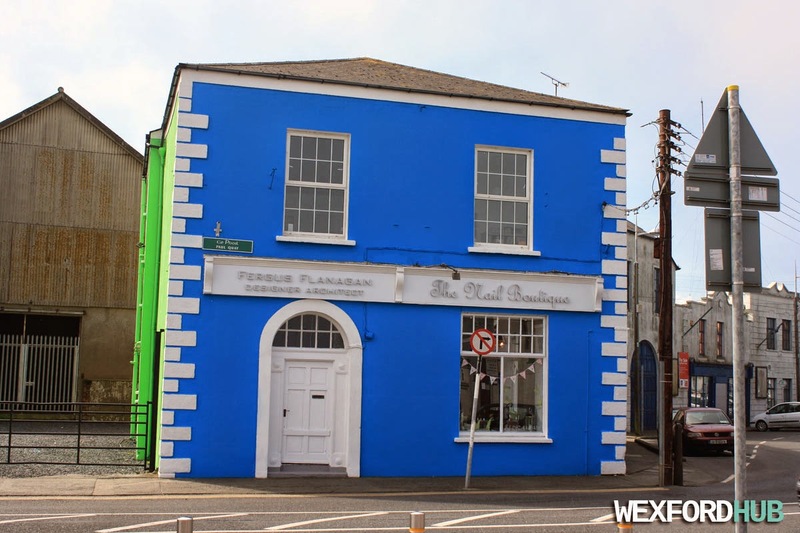 This colourful blue building sits on the corner of Paul Quay and Crescent Quay, just down the road from Oyster Lane. This was taken on the 6th of April, 2015. 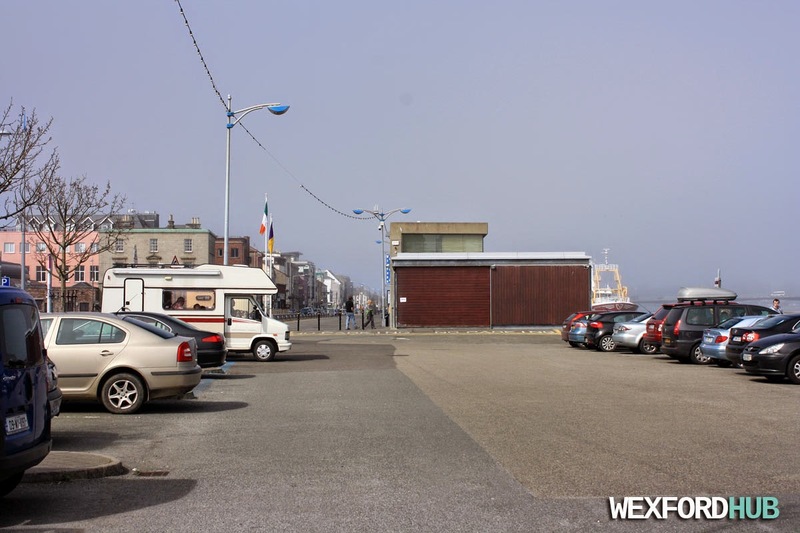 A photograph of Paul Quay car park in Wexford Town. Taken from the Pay and Display car park opposite the Tourist Office. This was taken on the Easter Bank Holiday Monday in April of 2015. As you can see, a thick layer of fog had descended over the town at the time. 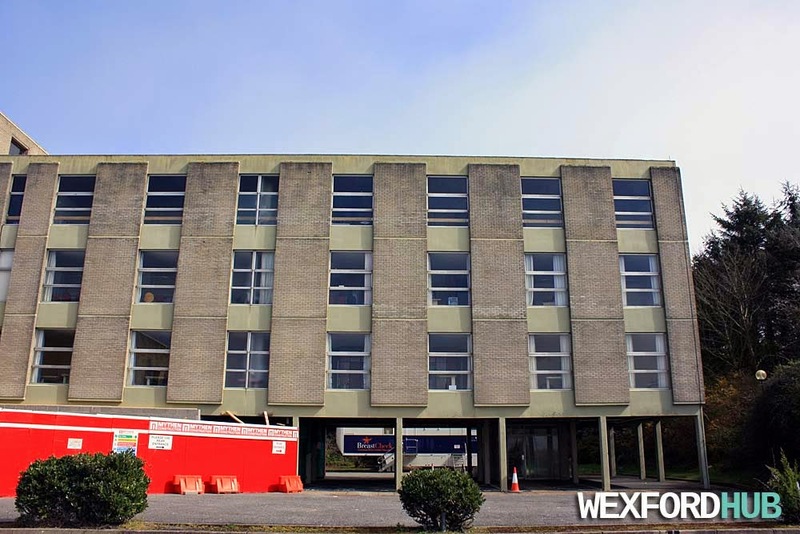 To the left, you can just about make out some of the buildings on Wexford's Crescent Quay. On the right, you can barely see Wexford Bridge, which has been clouded out by fog. 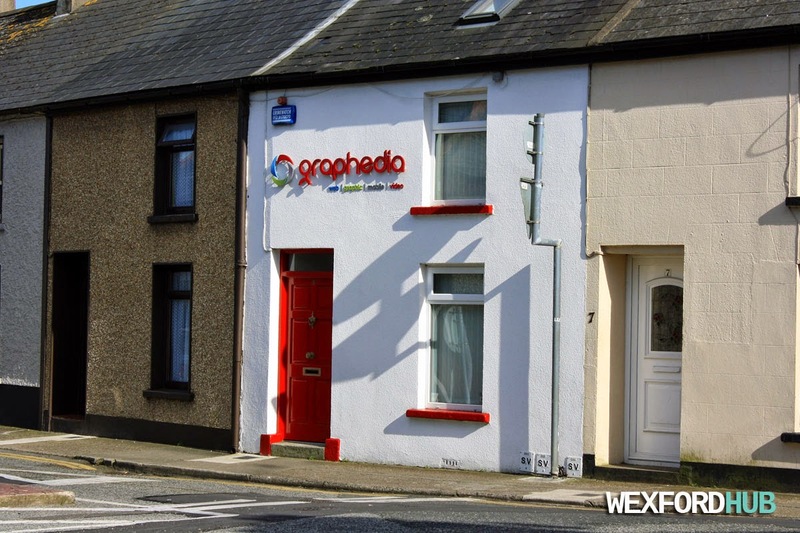 A photograph of the Graphedia office, which is situated on 6 Carrigeen Street in Wexford Town. Graphedia are a local web design company that also specialise in graphic design. 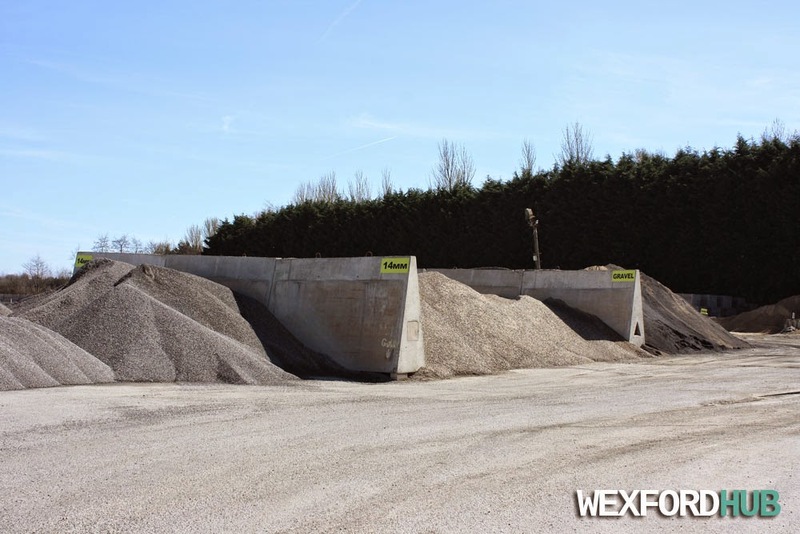 Address: 6 Carrigeen Street, Wexford. 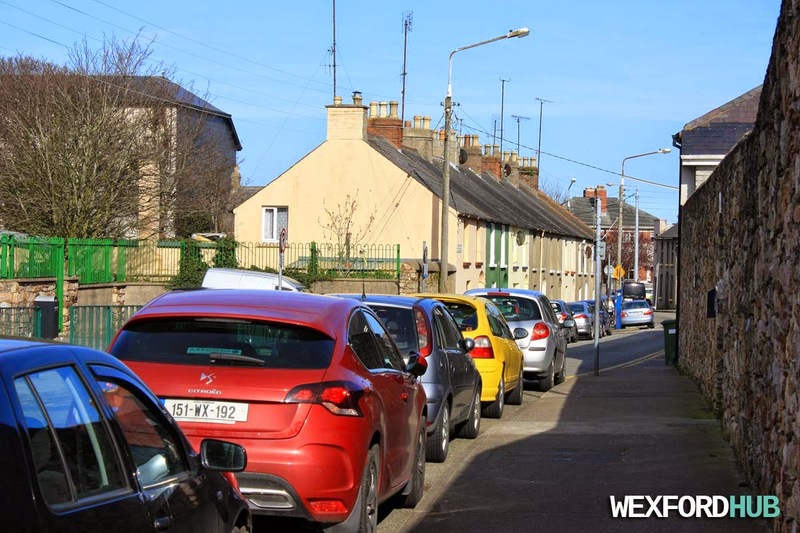 A photograph of Grogan's Road in Wexford Town. 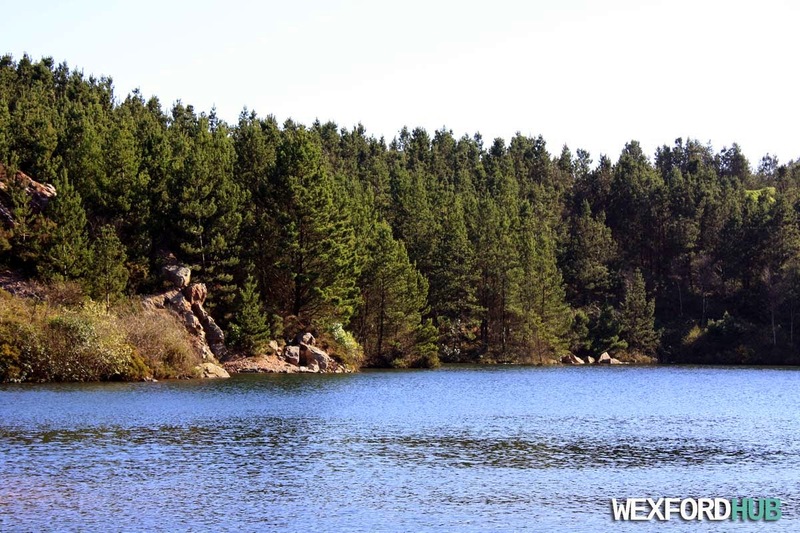 Best known for being home to a secondary school and the county's health clinic. This road connects the bottom of Summerhill Road with Carrigeen Street. On the left, you can see the green gates of the Presentation Secondary School. Photo taken on the Easter Bank Holiday weekend in April of 2014. 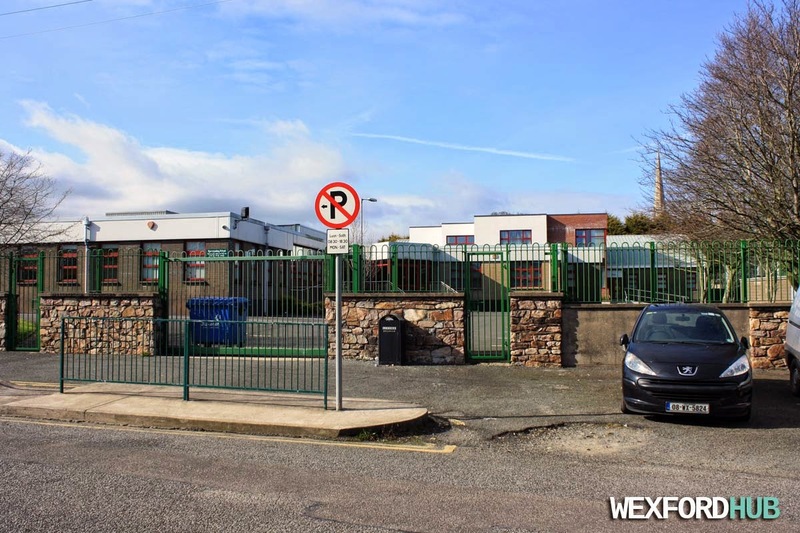 A photograph of the Presentation Secondary School, which is situated on Grogan's Road in Wexford Town. This was taken on the 4th of April, 2015. In the background, you can see the tip of Rowe Street Church.